The first meteor shower of 2019 will light up the night sky between the night of Jan. 3, and the early morning of Jan. 4. The Quadrantids are famous for being the first meteor shower of 2019, and stargazing lovers can particularly look forward to the evening of the peak as there will be no moonlight to wash out the meteors. The last full moon embraced us during the Winter Solstice, so this week, the sky will be dark, allowing the first meteors of the year to streak across the night sky in full view. The meteor shower will be perfectly seen in the Northern Hemisphere, especially in Europe. “Anyplace at mid-northern and far-northern latitudes might be in a decent position to watch the Quadrantids in 2019, especially as there is no moonlight to ruin this year’s show,” EarthSky reports. “The lower natural light pollution will make it easier to see more meteors, but light pollution from cities and highways can still interfere with viewing,” AccuWeather Meteorologist Brian Lada said. According to AccuWeather, the first meteor shower of 2019 can produce between 60 to over 100 meteors per hour when the shower peaks. The conditions in the U.S. vary. AccuWeather forecasts clouds and unpredictable weather in the Northwest, while a large storm could ruin the viewing conditions in the Southeast. Quadrantids are different compared to other meteor showers such as the Perseids or Geminids. When these two meteor showers peak, their spectacular light show can last for days. However, as Earthsky reports, with the Quadrantids it’s different, as the peak can last only a couple of hours. That said, the best viewing times will be between midnight and dawn. It might be difficult, as it requires staying up late, although the last glimpse of the shower can be caught early in the dawn, for people who wake up early. 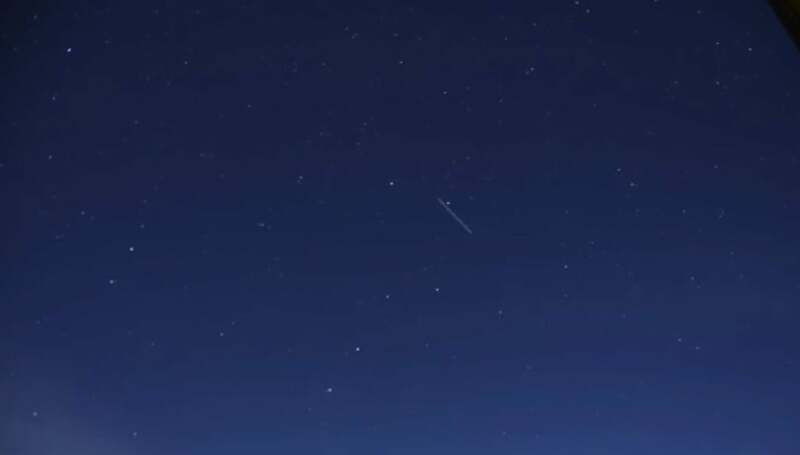 The viewing times don’t last long, which means that some parts of the world might not be able to enjoy the beauties of the first meteor shower of 2019. It is to peak on January 4 at 02:00 UTC, so if you live in the U.S., you will need to adjust for your time zone, which for some it could be in the evening. “The radiant point for the Quadrantids is easy to find as it sits near the Big Dipper, one of the most well-known constellations in the sky. However, meteors will be visible in all areas of the sky, not just near the Big Dipper,” AccuWeather reports. As NASA explains, there are several reasons why the peak of the Quadrantids is so short. The meteor shower is known for having a thin stream of particles which interact with Earth as it passes by. Moreover, our planet comes into the stream of particles at a perpendicular angle, which limits the density of particles during the peak times. The Quadrantids originate from 2003 EH1, which is likely an asteroid or a possible “rock comet,” NASA further wrote, while they come from the Constellation Bootes. When it was initially discovered, the meteor shower radiated from the Quadrans Muralis constellation, which is now considered obsolete.